We have heard all kinds of rumors about the BMW M1 supercar, including the possibility of its return. You may remember that, four years ago, BMW unveiled the M1 Hommage - a concept car built as a tribute to the M1’s 30th anniversary. Back then, everyone believed that this would be a preview of a new production M1, but BMW quickly denied those rumors, leaving all of us with the disappointed hopes. Now German magazine Autobild is reporting that a successor for the M1 will in fact be unveiled in 2016, after the unveiling of the hybrid i8. The next M1 will be built as a combination between performance and economy and will be powered by a V8 engine with direct injection and a turbocharger. This engine’s an output will be placed somewhere between 600 and 650 HP. The new M1 will be built using BMW’s "Efficient Dynamics" program meaning that it will come with features like a start-stop system and braking energy recovery. All of these features will be combined with a carbon-fiber body and a total weight of 2,755 lbs, which will make the next M1 a real competitor for models like the Mercedes SLS AMG GT and the Audi R8. Expect the new BMW M1 to debut in 2016, priced at about 250,000 euro, about $315.000 at the current exchange rates. 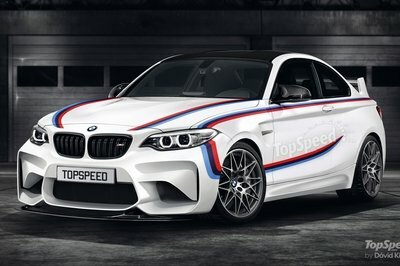 The Future BMW M3 will be tri-turbo! Will M1 look like this? I guess there will be difference on the production and from the M1 concept. I can’t wait for 2016 just to see the next model presentation. I want to see something even a preview of this M1. Let’s just see what BMW can do about this. It’s a good super car honestly. But the hardest thing is the process of making it.